At Palm Springs Pool Service, we're dedicated to offering high-caliber swimming pool and hot tub installations to customers in Garland, TX. We're a licensed and insured company, and with more than 40 years of experience behind us, we're skilled at handling all aspects of the process. Our professionals will be happy to help you select a design that will suit your lifestyle as well as the layout of your property. Our work is intended to give you a great value, and estimates are provided for free. 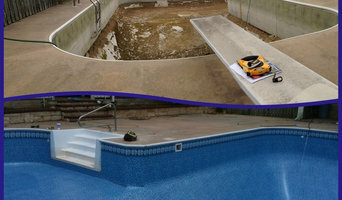 As we put in your pool or spa, we'll focus on the small details, and our goal will be to complete the job with precision. Our team is organized, efficient, and punctual, so we're able to complete projects on time. By using quality materials, we strive to make sure our finished results can be enjoyed for years to come. If you're looking to work with a professional who is highly knowledgeable about swimming pool and hot tub installations, Palm Springs Pool Service is an ideal option. Customers throughout Greater Dallas can count on us for quality service. Call today to set up a consultation. Our professional pool cleaning service is the affordable way to keep your pool sparkling all year long and your satisfaction is guaranteed! We can create a customized cleaning schedule that works with your lifestyle and budget while ensuring that your pool is kept in tip-top condition for you and your family. We even offer "vacation service" so even if you clean your pool yourself, you can use us to perform cleaning when you're on vacation. 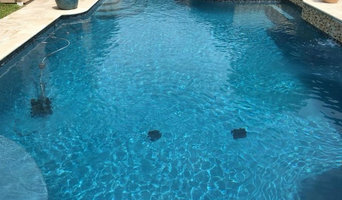 Poolside Supplies and Repairs Inc.
Poolside Supplies and Repairs Inc. prides itself on being the go-to choice for clients looking for Pools, Pool Maintenance and Pool Repair services. Over the years we have never lost our commitment to our clients and that is what has allowed us to succeed in a very competitive industry. The employees of Poolside Supplies and Repairs Inc. stand committed to our purpose and will provide the best service! Sun-Kist Pools was founded by Sam Jackson in 1975 after 12 years of experience in the pool construction segment of our industry. Most of his experience was managing large pool construction firms during this time. From our creation, our family and employees have worked to develop and maintain the highest standards during 37 years of serving our customers.